New Directions Publishing Corporation, 9780811220941, 48pp. For over thirty years, Eiko & Koma, the Japanese-born choreographers and dancers, have created an influential theatre of movement out of stillness, shape, light, and sound. 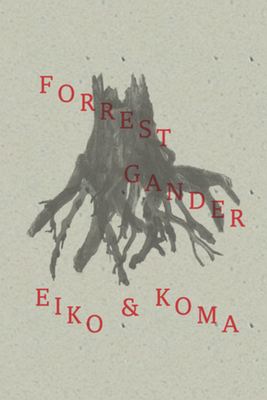 In tribute and collaboration, the acclaimed American poet Forrest Gander has written a mesmerizing series of poems -- hinging around a dance schematic -- that captures and extends the dancers' performance with lyrical intensity and vividness.